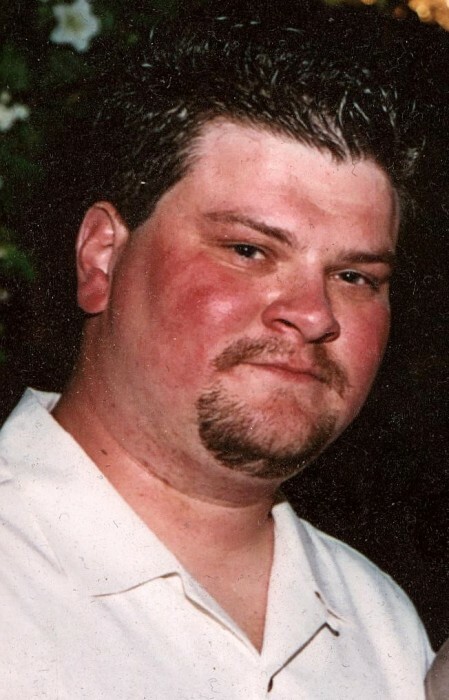 Jean Francis “Jay” St. Onge, 42, of Hartford, formerly of Plainville, died unexpectedly following a brief illness on Saturday, March 16, 2019, at Hartford Hospital. Born in New Britain on June 30, 1976, he was the youngest of three children to Mary Ann (Sladeck) St. Onge of New Britain, and the late Thomas St. Onge, Sr. Raised in New Britain, he attended St. Joseph School and was a graduate of E.C. Goodwin Technical High School as a licensed plumber. He went on to work for several local plumbing companies, and, for the past six years, was employed as a service technician and meter repair expert for Connecticut Natural Gas. Always a man of hard work ethics, Jay shared his plumbing expertise doing favors for family and friends, never expecting anything in return. Remembered for his shy, quiet personality, he also had dry wit and an infectious, hearty laugh. An outdoors enthusiast, Jay enjoyed camping, barbequing, vegetable gardening with his daughter, and is now reunited with his fishing partner, his late brother and best friend Tommy, who referred to him as “Jaybird” since childhood. Above all, he was a proud father, who relished every precious moment with his daughter, Skylar. They were roller coaster partners, RC car racers, robotics builders, and gardeners who created many happy memories together. A beloved son, father and brother, he will be greatly missed, leaving a legacy of laughter, hard work and love for his family. In addition to his mother, Mary Ann, he leaves his adored daughter, Skylar Veronica Rose St. Onge; his sister and brother-in-law, Danielle and Frank Zavatsky of Coventry; his uncles, Louis and Norman St. Onge; and numerous cousins. In lieu of flowers, a fund for Skylar’s future education has been established to which contributions may be made at Achieve Financial Credit Union, 450 W. Main St, New Britain, CT 06052. Family and friends may gather in celebration of Jay’s life on Thursday evening, from 5-7 p.m. at Plainville Funeral Home, 81 Broad St, Plainville. He will be laid to rest privately.